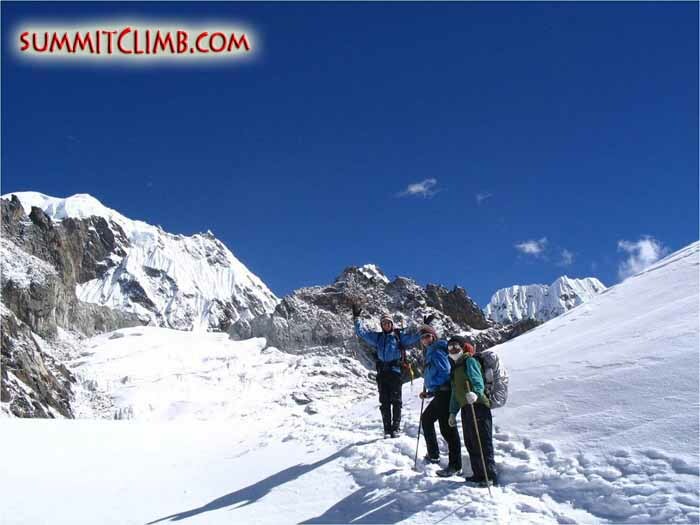 Team members on the Cho La Glacier having fun. Photo Valerie Hovland. Please click one of the links below to view that section of our Everest View Glacier School daily itinerary or scroll down (photo right by Valerie Hovland: A great view across the Cho La Glacier where we conduct our training lessons). Please also visit our Everest View Glacier School route description for more about what to expect on the trek from Kathmandu, during the climb itself, etcetera. Note: This is a proposed schedule, which has been developed through previous trips. The actual itinerary of your trip can differ depending on such factors as weather and local conditions. For example, the trip may finish earlier than these dates, or we may need every single day of the schedule. Thank you for being patient and flexible when coming to a foreign country like Nepal. 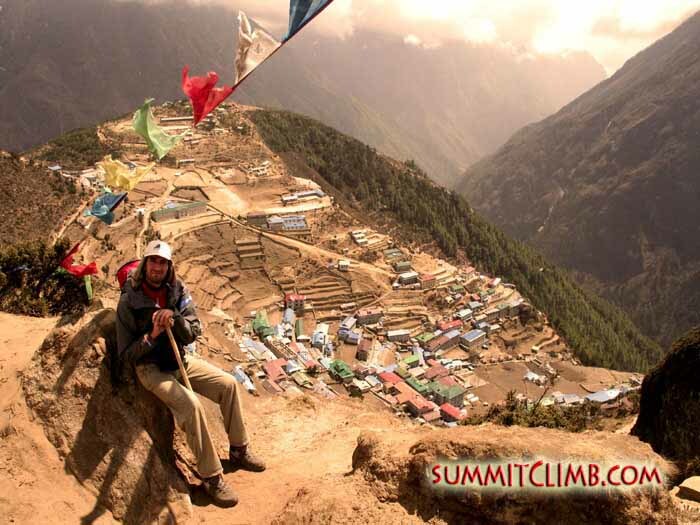 14) We will walk back to Namche Bazaar, teahouse. 16) Return flight to Kathmandu. 17) Extra day of rest and celebration in Kathmandu. Do take a taxi out to Bhaktapur if you wish to visit an impressive temple city. 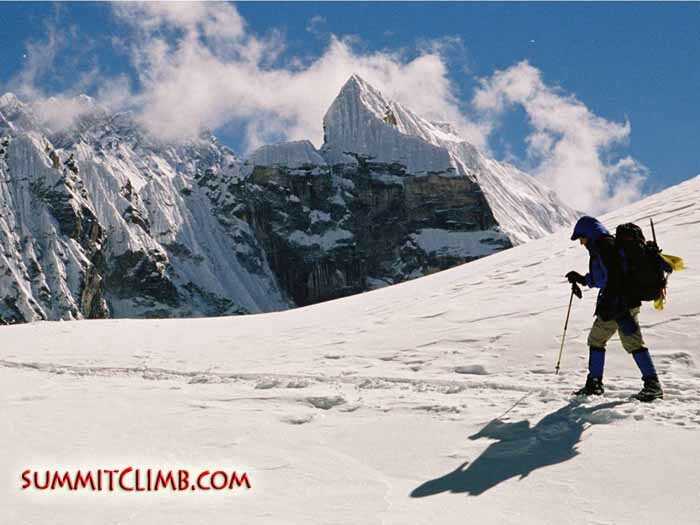 On day 12 of the itinerary you will branch off from the main group heading back to Kathmandu and trek to Everest basecamp. Please add an extra 4 days into your travel plans if you wish to do this. 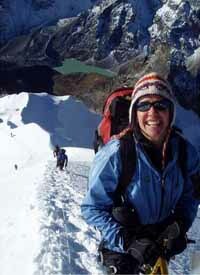 3) Walk up to Everest basecamp, which lies atop the Khumbu glacier at 5,300 metres/17,400 feet; then trek down to Pangboche. Thank You for joining our Everest View Glacier School Expedition.